Insurance companies can suspend home insurance policy binding when a named storm approaches the area. Florida insurance companies are permitted to suspend the binding (which is simply the final process of securing coverage) of home insurance policies a few days prior to a storm approaching and continue to not allow securing coverage until after (even a few days after) the storm has passed. Named storms are not limited to hurricanes, and can include tropical storms, etc. There are no set rules on when Florida home insurance companies are permitted to suspend the ability to secure coverage and the decision is made by each company individually; therefore, one company may suspend limit securing home insurance coverage to 5 days out, while another company may allow home buyers to secure coverage 3 days out. What if I’m purchasing a home and my closing is during this time? If your insurance has not been finalized prior to the time of suspension your closing may be delayed. How can I prevent delaying the closing process? Confirm with your insurance agent that all information has been provided and the application has been completed (i.e. signed, etc.). Take action early – Do NOT wait until the last minute to purchase home insurance during hurricane season. What happens if there is a suspension during the time of my closing, but I completed the application process prior to suspension? If all documents were submitted to your agent prior to suspension, but the date of closing is during the suspension, your coverage will still be put in place on the date stated on the insurance application paperwork. Why do Florida home insurance companies suspend the ability to secure coverage when a named storm approaches? Florida homeowners insurance companies have implemented their authority to suspend the ability to secure coverage in order to prevent home owners from attempting to secure insurance only during times they see as an immediate threat. 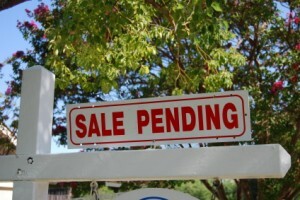 Assume you are purchasing a house in Florida and your closing is the last day of the month. A week prior the news is broadcasting about a storm that may potentially affect the state. You’ve received a quote for your home insurance but have not yet contacted your agent to secure the policy. Insurance companies tend to suspend binding as the storm approaches the state. Since there is no set rule as to when these suspensions are put in place, it’s best to contact your agent if there’s a chance of the storm approaching and your closing is in the near future. If you wait until the storm reaches the Florida coast, it’s possible that you will be unable to obtain insurance, thus delaying your closing.